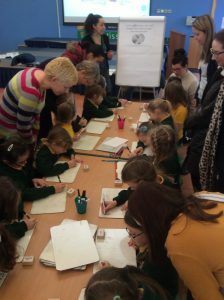 Monday 11th February saw the start of the 6th annual Kings’ Forest Arts Week. 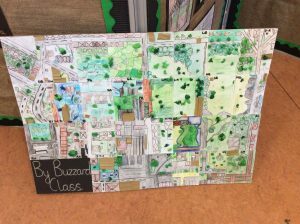 This year’s theme was My Hometown and the signs were very encouraging with all the amazing homework that children had created in the weeks running up to the event. 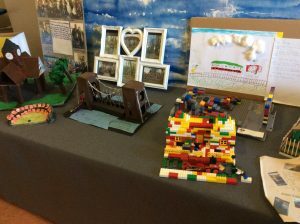 After a fun packed week, the celebrations concluded with a fantastic exhibition in the school hall, which, as in previous years, was very well attended. 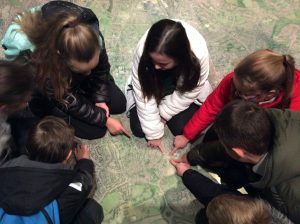 As well as their own personal hometown landmarks, each year group was given an iconic Bristol landmark to study and at least one visiting artist to work with, so all of the children received a professional artist’s expertise to guide and inspire them. An exciting week was had by all! 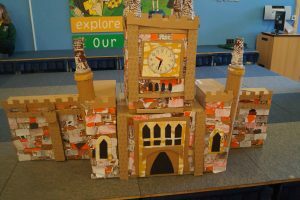 The youngest children in the school worked with Mr. Jeanes to create a large 3D model of their landmark, Bristol Temple Meads, complete with turrets and a clock tower. 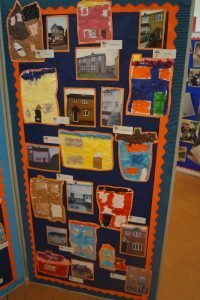 They loved using mixed media to create a wonderfully textured collage. 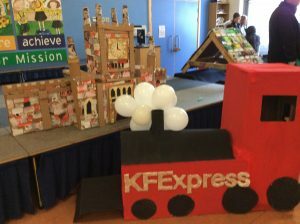 They also built a huge model train (named the KF Express of course!) which was painted a vivid red and tied in nicely with their transport theme. 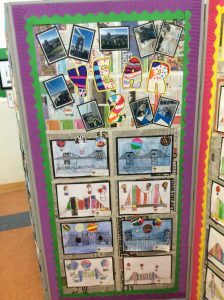 In addition, the children created some excellent collages of their own homes which looked brilliant displayed next to photographs of the buildings. 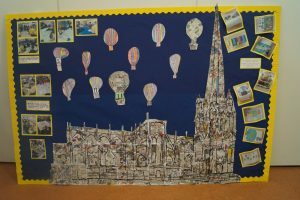 Mouse and Rabbit Classes worked with illustrator Cai Burton to draw St Mary Redcliffe Church, which was their landmark this week. The huge illustration captured the grand, imposing nature of the building and the collaged layers were really effective. 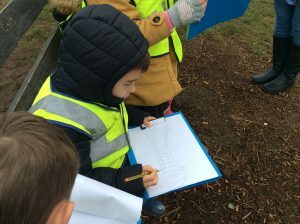 Year 1 also tried their hand at line drawing the building and adding a water-colour wash behind their lines to great effect. 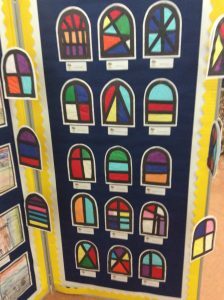 Finally, they made some colourful stained glass windows which replicated the windows at St Mary Redcliffe beautifully. 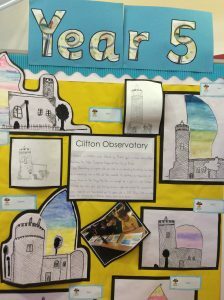 Cai also visited Year 2 this week to create illustrations of the Clifton Suspension Bridge. 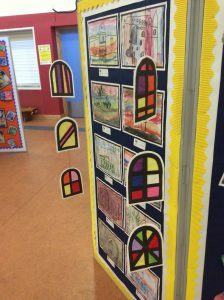 The children used the basis of the structure to guide their pieces and then let their imaginations run wild, adding fantastic colours to their pieces. 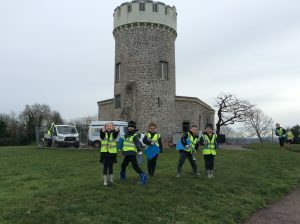 Bat and Deer class studied Blaise Castle this week and they were lucky enough to work with Sarah Edwards to weave a huge model of the building out of willow. 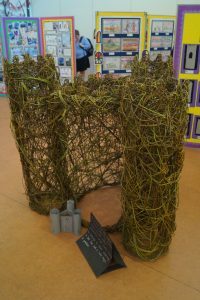 The structure is set to be a semi-permanent feature around the school, so look out for it! They also learned some new needlework skills with visiting artist Alison Bingham and produced some beautiful work with her. Alison also got the needle and thread out in Year 4 this week and in addition they were treated to a ceramics lesson from Emma Wreyford. 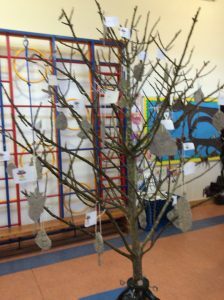 With Alison, Moles and Buzzards sewed the gates of Page Park and with Emma they made some wonderfully textured leaves out of clay, which were displayed creatively hanging from an actual tree! 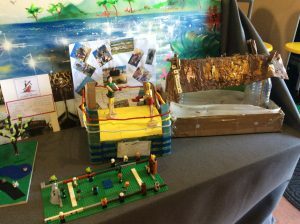 They also collaborated to create a 3D aerial view of the park, complete with buildings, trees and play equipment. 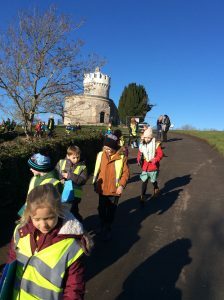 Stoats and Adders studied Clifton Observatory this week. 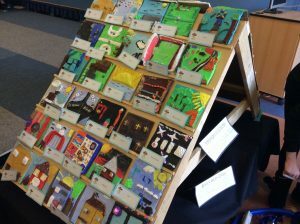 They worked with Cai Burton to combine illustration and watercolours. They also created a relief tile of their personal landmark which they painted. Year 5 also made models of the camera obscura (which is in the observatory) out of cardboard boxes and ‘painted’ some Bristol Blue Glass using plastic water bottles and marker pens. 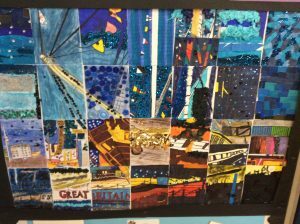 The oldest children in the school worked with Matt Jeanes to create a collaborative image of the SS Great Britain in a variety of media chosen by the children. 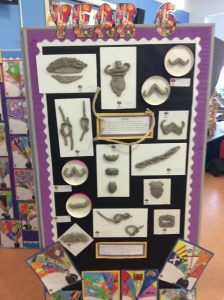 They also explored texture with Emma Wreyford using clay to create ropes and moustaches, emulating items that could have been found on the iconic ship in its heyday. 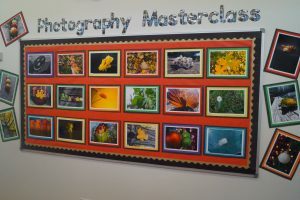 The photography masterclass exhibited some highlights of their work so far this year with Mr. McPherson. The new SLR cameras are really being out to good use and the progress the children have made is phenomenal. The stunning prints are in pride of place in the hall – go and have a peek! 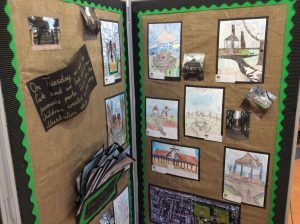 In addition to all of the exciting art going on in classrooms all week, the wider school community has also been getting involved. Matt Jeanes ran a series of four evening classes for parents in which he taught life drawing, still life and caricature. The informal sessions were well attended and the standard of work was exceptional. 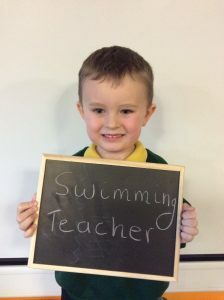 There is talk of the evening classes continuing at the school in the future, so watch this space. 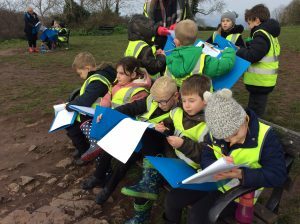 Not only that, but Alison Bingham also ran two workshops for parents and children to come and create some beautiful prints together and the results were fabulous. 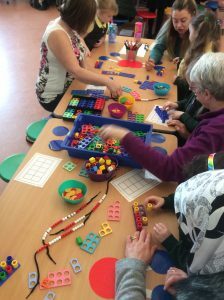 This week, we held a Girls Maths Workshop where mums, grandmothers and aunts were invited into school to take part in maths activities with their daughters, granddaughters and nieces. It was a great turnout with everyone getting involved. 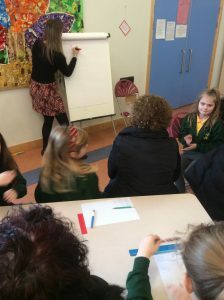 Ms Keddie, Miss Timbrell, Miss Davis and Miss Cullimore ran mini workshops. Each teacher focussing on different year groups. 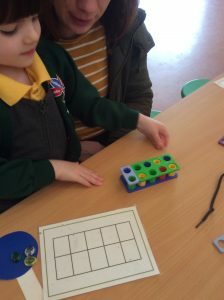 They demonstrated how maths is taught and presented in each of the classes in our school. 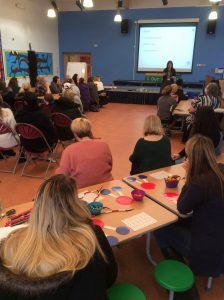 All of the adults that attended the workshop, worked alongside the girls completing maths activities; using different resources; representations and methods for working on addition and subtraction. 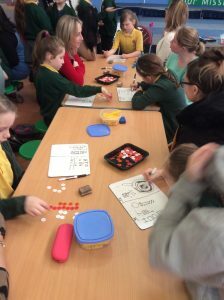 We want to take this opportunity to thank all of the mums, grandmothers and aunts who gave up their time to join us on Wednesday morning to work on maths tasks with their daughters, granddaughters and nieces in such a positive and supportive way. 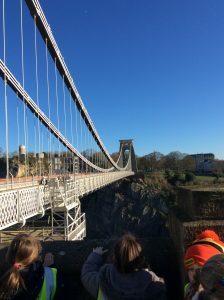 Last week Year 2 had a super trip out to the Clifton Suspension Bridge. 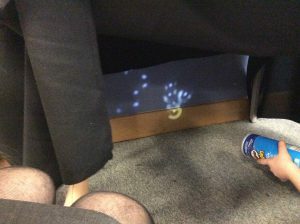 Hedgehogs were lucky enough to visit the Visitors Centre. 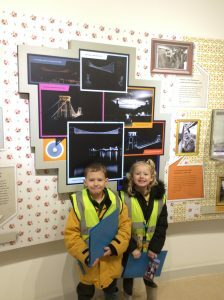 They learnt all about how the bridge was made so strong and about the history of the bridge. 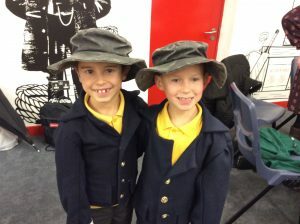 They also read some interesting stories about its famous engineer, Isambard Kingdom Brunel. 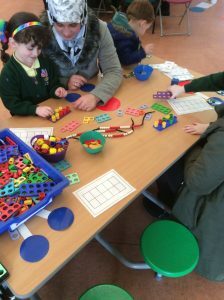 Hedgehogs really impressed the staff with their knowledge of Brunel and great enthusiasm. 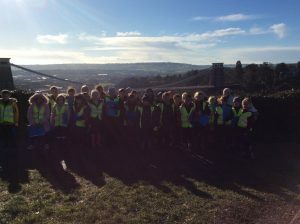 We bravely walked across the bridge, enjoying the magnificent view and ticking off the sights we could see, such as the Avon Gorge and even Ashton Gate football stadium! 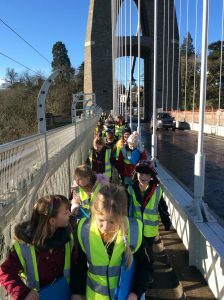 The children showed great courage and positivity when walking across the very high bridge- they impressed us all. In preparation for Arts Week, we had a go at sketching the suspension bridge from the viewpoint by the Clifton Observatory. 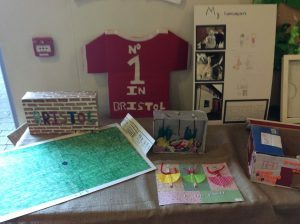 This will help us as the famous Bristol landmark year 2 have been given is the bridge. It is almost like Miss Timbrell and Miss Ball planned it!? Despite our excitement and the cold, we were all extremely well behaved and respectful to the other members of the public who were visiting the bridge and Visitors Centre. 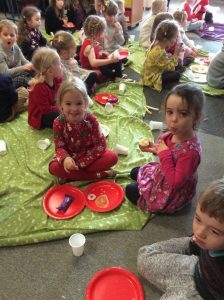 The children started the new year with great enthusiasm. 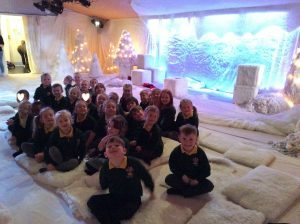 Our topic is Humans and Animals and we were lucky enough to watch The Snow Mouse at The Egg Theatre, Bath, which featured a young girl who befriended a little lost mouse. 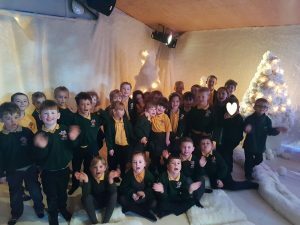 The pupils were enchanted by the wintery landscape and the friendship and fun had by the main characters. It was also our first time on the school’s minibuses and that was very exciting! 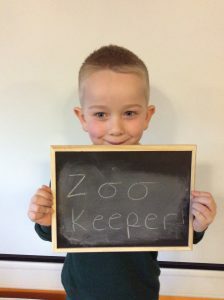 Focusing on the humans side of our topic, we have begun to think about people who help us in the community and the occupations that might present themselves in our futures. 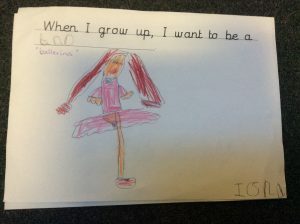 The children all though about what they would like to be when they grow up. 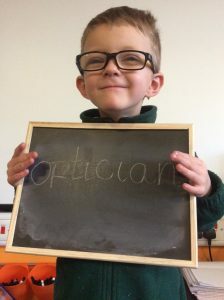 We have budding artists, pop stars, vets, doctors, engineers, scientists and even racing car drivers in our midst. What a lovely end to the term. We celebrated Christmas in so many ways. 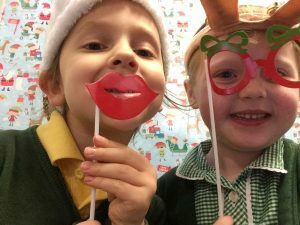 Some wonderful nativities and our Christmas craft morning – attended by so many parents and grandparents – really got us in the festive spirit. 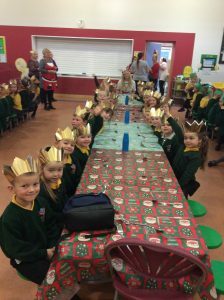 The children really enjoyed their Christmas meal, particularly being served by the staff, and our Christmas cinema experience and our party rounded off the festivities. 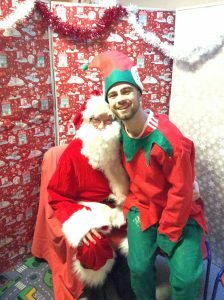 We were even lucky enough to be visited by Father Christmas and one of his elves. We hope you all have a joyful Christmas and we look forward to seeing you all in the new year. This term, Year Three have been continuing their topic on Frozen and Magnets and Forces. 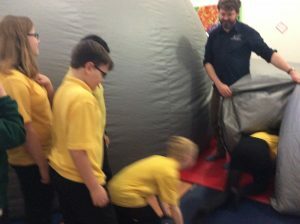 To support their learning, we went on a trip to We the Curious where we took part in a workshop and had some time to explore. 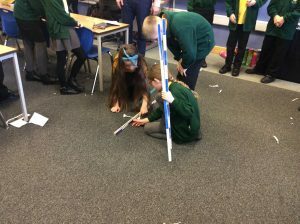 During the workshop, the children looked at pushes and pulls, how magnets work and completed an investigation on friction. 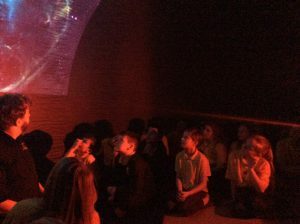 The children really enjoyed their day and we feel it has deepened their understanding of this topic. 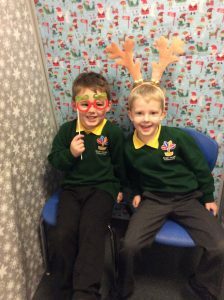 Last week, the pupils took part in a Christmas Carol Concert. The children used amazing oracy skills to share the beginning of the Christmas story with the audience. We also had children who acted out the story. 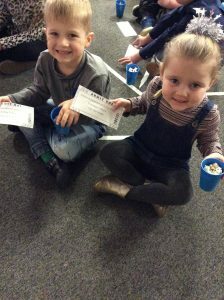 These children had to listen carefully to the events being told so that they knew when to come on and off of the stage. 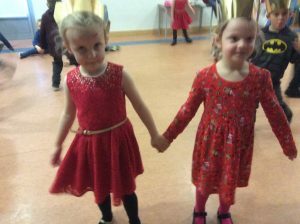 All the children worked extremely hard, performed well and sang beautifully. The Christmas season is officially upon us! 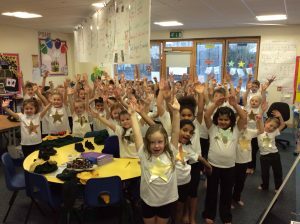 We have been ‘wowed’ by the children’s level of enthusiasm and effort that has gone into their singing and dancing this year. 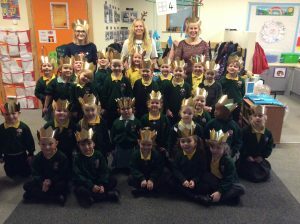 The Year One children were absolutely AMAZING in their performance and we are incredibly proud of them. 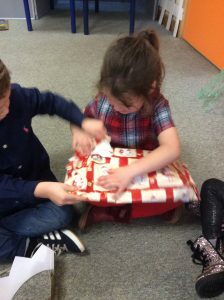 Even though the Christmas chaos has begun the children are still putting fantastic efforts into their core subjects. In our writing lessons we have been learning the story ‘The Tiger Child’. 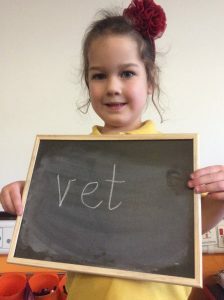 We have been blown away by the vocabulary and structure that the children have used in their story writing. 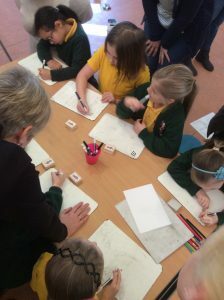 The children have also been working hard in Maths lessons using their amazing Oracy skills to prove addition and subtraction equations. 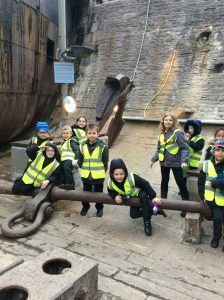 Year 2 had a fantastic trip to the SS Great Britain this week. 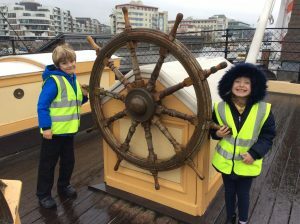 We had a guided tour around the ship and learnt all about what it was like to be a passenger back in 1852 on its voyage to Australia. We saw where the 1st and 3rd class passengers slept, ate and what they did for fun, like playing cards and sewing. The talking toilet was probably our highlight! 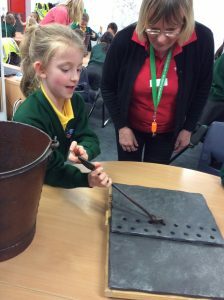 We also had a workshop all about Brunel and the building of the ship. 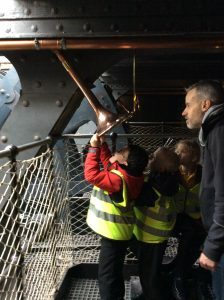 We time-travelled back to 1843 and helped to build the SS Great Britain. We used tongs, rivets and hammers to join to pieces of iron together to form the hull of the ship. 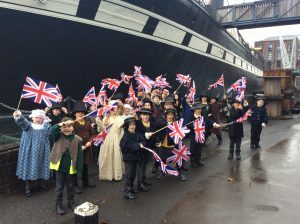 Then we dressed up as members of the crew and Victorian public ready to watch the launch of the spectacular SS Great Britain. 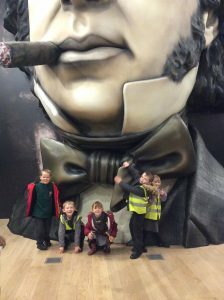 Squirrel class were lucky enough to go to the ‘Being Brunel’ museum to find out even more about how inspirational Isambard Kingdom Brunel was. 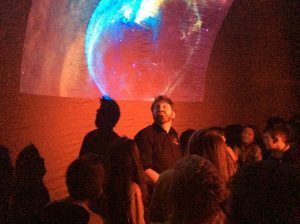 We went inside his ‘mind’ and saw Brunel’s life through his eyes. It was amazing! The staff at SS Great Britain were very impressed with our knowledge of Brunel. We asked fantastic questions and also gave some amazing answers. 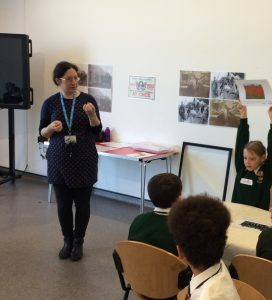 This week, Year 6 were lucky enough to visit the M-Shed museum and take part in a workshop based on how the lives of people in Bristol were impacted during World War One. 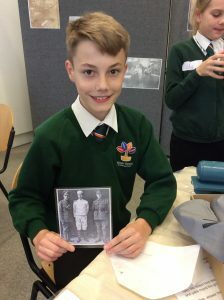 We explored sources from the past such as photographs and postcards as well as artefacts such as bomb shells and thought about what this told us about life during this time. 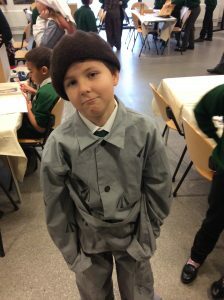 We were even able to dress up as people from the era and learnt about their roles in society. We were particularly interested to find out more about conscientious objectors who chose not to fight in war, even when conscription was introduced in 1916. 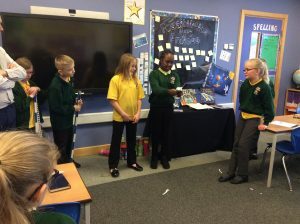 We learnt about how they were sent to prison for refusing to fight and were often given the white feather by people as they were believed to be cowards. 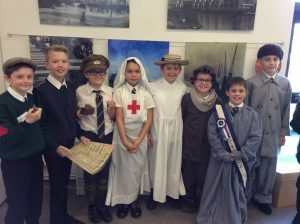 After learning about the lives of many different people during this time, the children put on a short sketch to demonstrate how the lives of people were affected both during and after World War One. 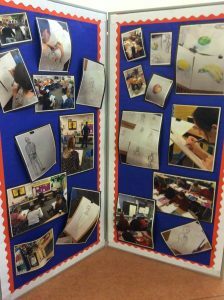 The children were extremely creative with these sketches and demonstrated fantastic knowledge and understanding of the lives of people at this time. 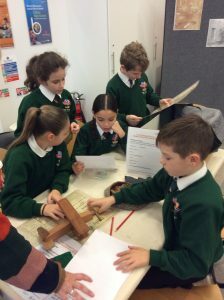 We then enjoyed a visit around the museum and managed to find lots of different things linked to our topic. 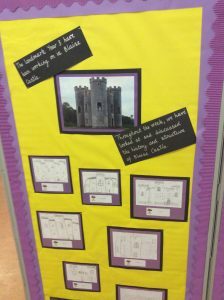 We were particularly interested in the display which was all about the Suffragettes. We found out about the many different ways in which they fought for their rights.